Do you teach babies and toddlers to read music? No, we do not teach our littlest friends to read music, but we do teach them musical concepts, such as high and low, fast and slow, smooth and short, ect. We also expose them to many different tempi (musical speeds) and styles. All of this is setting a wonderful musical foundation for your child! Do you teach anyone to read music? YES! By 4 1/2 years old, children are ready to begin learning music but not ready to sit in a one-on-one private lesson. Our Young Child classes for 5-7 year olds teach children how to read notes on a staff, set up an amazing rhythmic foundation, help them understand musical shaping concepts AND apply all of this to an instrument. Plus, we work on their voice and learn musical styles and music history. The instruments we use prepare them to make an informed choice when they are ready to choose a long-term instrument. We learn glockenspiel (pre-piano), 2-string dulcimer (pre-strings), and recorder (pre-woodwind). How will my big kid benefit from music and movement? It is difficult for big kids to sit still and retain information in a 30-minute private lesson. In Young Child classes, movement to music helps children burn energy while activating their brain. In class, we intertwine sitting and learning with movement activities. Sometimes we move to music of different classical eras or to music of other cultures. Movement also helps to solidify steady beat. We also reinforce the songs that we learn to sing and play on our instruments by moving to them. The method of learning the rhythm, words, note names, and movements to a song transfers wonderfully when we play it on our instruments! How is a Play Date different from a long unit? Play Dates are 1-time classes. 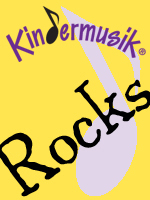 They are all the fun of a Kindermusik class, with a seasonal theme, packed into a commitment-free class. They are usually 45-minutes in length, but may be longer if a craft is added. These are not drop-in classes – you MUST enroll by email (musiklauren@yahoo.com) to attend class. Payment is due at the beginning of the Play Date. Do you offer birthday parties or other events at your studio? Yes! Talk to us about parties and events – they can be specialized for your event! Click here to enroll in class or a free preview if you are new student. If you enroll online, you must pay with a credit or debit card. Want to pay with cash or check? Enroll by sending an email here. Why can’t I find the Play Dates on the class finder? You can pay online when you enroll at my.kindermusik.com or with debit/credit/cash/check (made out to Real Great Music, LLC) in the studio. Payment for 4-week classes is due at the beginning of each unit. Young Child classes have a monthly payment plan. I enrolled my child online for a 4-week unit. Do I have to re-enroll for the next 4-week unit? No – it automatically enrolls you in the next month’s unit! How convenient! If you cannot participate in the next unit, please either unenroll online or tell your teacher so that you are not charged. I enrolled online and my child participated in a 4-week unit. Why did I get charged again after the unit was complete? OOPS! Your child was not un-enrolled in class. We will be happy to fix this and refund the money to your card. Do I have to purchase Digital Home Materials? Yes, they are a required part of each 4-week Kindermusik unit. If you have multiple children in a unit, you only have to purchase 1 set of Digital Home Materials. New Digital Home Materials are required for each new 4-week unit. Do I have to purchase Home Materials for Young Child or summer camps? Yes, they are a required part of class and we will use them throughout class. Do I have to purchase the instrument for Young Child classes? Yes! We use them EVERY class and it is important that they only use glockenspiels, dulcimers, and recorders offered by Kindermusik International. These instruments are MADE specifically for the class! Do parents have to stay in class with children under 3? YES! Classes for any child under 3 and all Family Classes are ‘grownup and me’ classes. Moms, dads, grandparents, aunts/uncles, nannies, caretakers, ect, are all welcome to participate with their child in class. How early can we arrive to class? Beginning 15 minutes before your scheduled class time, we have instruments and props out for Gathering Time. Come play and settle in to the classroom. Comfortably! Children AND grownups move, so make sure you are both have clothes that you don’t mind wearing to walk, jump, swoop, and more! Do we really HAVE to be barefoot in class? Bare feet or socks are required in the class room. There are a few reasons for this. First, babies and young toddlers learn best when barefoot – they can build foot muscles and learn control as we move. Second, we have activities, in all age groups, that require us to be on the floor and up on our feet – we do not want a little hand to get stepped on by a hard shoe! Finally, because we like to keep our classroom clean, wearing no shoes helps mud and grass stay out of learning area. Your cooperation with this policy is greatly appreciated! Sharing Time is the last 15 minutes of our preschool Laugh & Learn classes and our Young Child classes. Children in these classes spend most of the class time in the room with only the instructor where they learn musical concepts, songs, and more. During Sharing Time, parents, family members, and a caretakers are all invited to join the children and share in special activities to bond and continue the learning. It is a special time for children so please make sure at least one adult is with the child during this time. Your child is welcome to attend any of our other classes as a makeup, as long as you notify the instructor to make sure there is room. We also try to hold a makeup class at the end of each semester. Classes can be made up at ANY point in the year. So, if you miss a January class, you can make it up in October if you like! No, we cannot transfer a missed class to the next unit. We treat our classes the same as dance, karate, and other extra-curricular group classes do. If you miss the first week of class, you still owe the full tuition. If you miss in the middle of a unit, you cannot prorate tuition for the next month. We understand that life happens, so if you have to miss a class or if your child is sick, please talk with your instructor and we will be happy to schedule a makeup! Yes, we do! We offer sibling and military discounts, as well as specials throughout the year. One per child. Please inquire for discount amounts. Why was my discount not applied to my online payment? The new online payment system does not allow me to apply discounts to 4-week units. Not to worry! We give cash discounts or can refund your card. When is the best age to start a child in private lessons? How do I know if my child is ready to play a woodwind instrument? Their fingers need to cover all the holes or push the keys. YES! Start a new instrument or pick up your old one. I have taught adults throughout my teaching career. I found a clarinet at a garage sale. Can I start lessons next week? Not a lesson, but let’s look at what you found. More than likely, the instrument needs work to make sure it is playable. Pads and keys shift and deteriorate over time and you don’t want to get frustrated because of this. When is lesson payment due? The first lesson of each month. It will be made up. But, there are no refunds for lessons missed by students. Any lesson missed by Mrs Winkens will be made up or refunded.